Baseball in Toronto continues to grow and becomes extremely popular inspiring young generation of kids to learn more about the game. Every journey starts with first steps and trials which every player needs to take, no matter if you are young or grown-up. Just for first timers Tucker Toys designed really cool toy Crush-It! The Adjustable High Powered Bat. 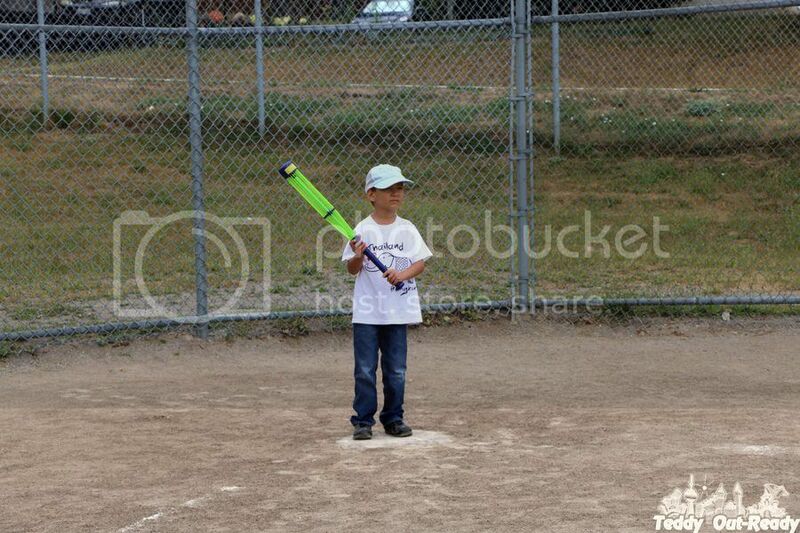 So kids as young as 5 year old can learn how to play baseball. This recreation bat with high-tension strings give children a new power and they can change it as their skills grow. Teddy never played baseball before mostly watched on TV, so this bat became first for him to learn about baseball, hits and misses. 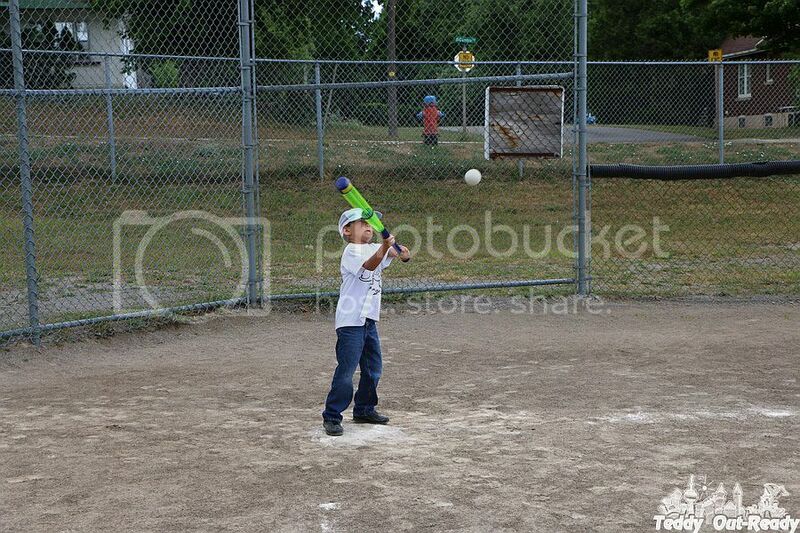 He learned how properly hold the bat, focus better on a target and evaluate the surroundings. For first timers it is very important to feel comfortable about the bat and know when the bat smashes a ball, get hand-eye co-ordination, which direction to move the bat to and evaluate the strength of a hit. The toy comes with a soft ball, perfect for young players so they do not hit each other when throwing it and playing. The bat has adjustable power knob to set the bat tension, it is located on the top of the bat. Children can switch it back and forward to increase or decrease the tension. This feature helps children to regulate the power and the distance of a ball is going to fly. More tension - stronger the hit. The bat is pretty lightweight so even Teddy can carry it to fields and play with friends. That’s why we take the bat when visit relatives or friends. I found that Crush-It! 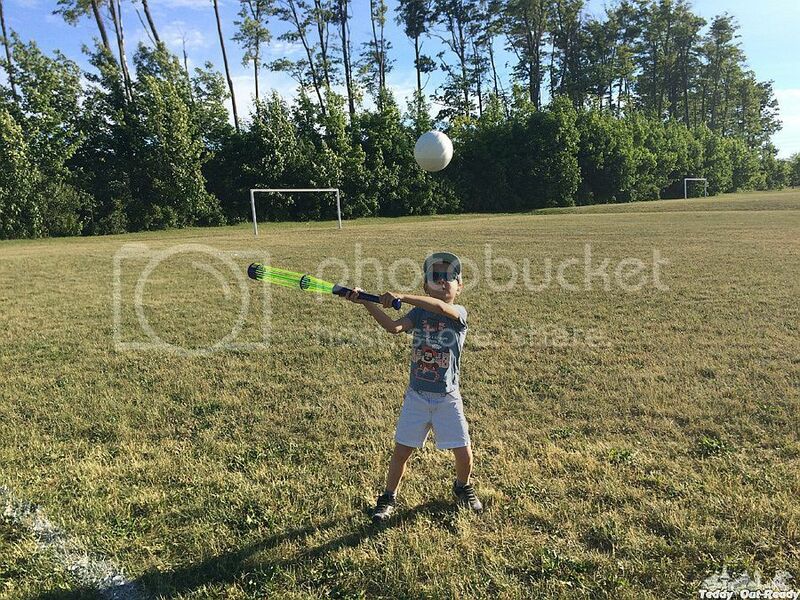 The Adjustable High Powered Bat design and colors (navy & green strings) welcome children to play with it. It looks like a toy at first, but soon children learn that it can be used as a powerful game equipment. The bat does not look like a regular bat, that’s the trick children get into. Kids like the fact that they can control how a ball flies and learn from it. Available via Amazon.com and Mastermind Toys stores in Canada, this award-winning bat can be first step to introduce a kid to the world of baseball. So for a quick game or a field trip Crush-It! The Adjustable High Powered Bat brings cheers and fun.